Our video this week is a bit different, as is the car in focus. This week we are featuring the Nash Metropolitan which many do not even consider to be a British car. 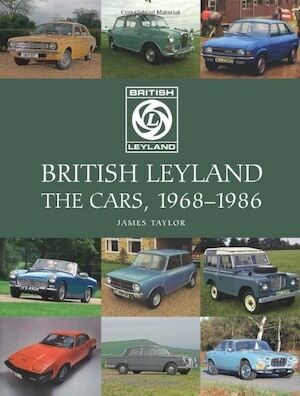 In that aspect, it may have been years ahead of its time because it prompts us to ask, again, what is a British car? We start with a 1954 filmstrip for dealers ‘The Inside Story of the Metropolitan‘. The Metropolitan was also sold as a Hudson when Nash and Hudson merged in 1954 to form the American Motors Corporation (AMC), and later as a standalone marque during the Rambler years. 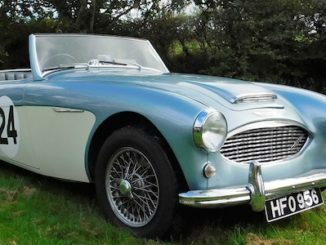 Additionally, it was actually sold in the United Kingdom and some markets under the Austin brand. Our Thanksgiving Video of the Week (VotW) comes to us by way of the fine Canadian folks of Men & Motors. Titled “Classic British Cars in America”, this is obviously a subject we can all be thankful for. 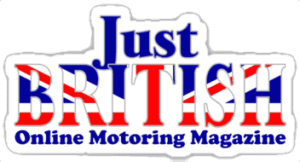 In this video from just over three years ago, the M&M folks make their way to English Motors in Macomb, Michigan, which I believe is now closed, to look at some great British cars and talk about the fascination Americans have with them. Adrian Bell is in Detroit, Michigan talking about classic British cars. He meets British car enthusiast Sue Snyder who shows him her 1980 MG MGB which she has owned since it was new, plus Don Ensloe shows Adrian around his car garage which specialises in maintaining and restoring British cars for their American owners. The world’s largest museum devoted to Austin cars will soon be auctioned in Denmark. Alongside 47 cars, it also features over 3,000 related items, including books, posters, signs, toy cars, die-casts and other rare automobilia. Stefan Wolffbrandt began the collection in 1985 after he acquired his first car; an 1957 Austin A30, which he saved from the junkyard and restored on a shoestring. This ignited his passion for the brand and he went on to collect further Austin models, in particular A30’s and A35’s, while pursuing his career as a successful rock musician. Classic Car Auctions (CCA) will be offering a unique opportunity to own a ‘brand new’ 1983 Austin Metro Vanden Plas 500 in its sale at CarFest South on 29th August. The car, offered without reserve, has covered just 741 miles and had just one registered owner since new, forming part of the famous and historic Patrick Collection housed in Birmingham. Very few Vanden Plas Metros remain on the road, and this rare car, the second of only 500 built, is believed to be one of only five left in the UK. ‘Well, I have never seen one of those!’ was possibly the most-repeated phrase heard at the 53rd National Austin 7 Rally held at Beaulieu on 5th July. With a theme of ‘Austin 7s and their Cousins’ the event attracted a unique collection of vehicles that came from as far away as France and Germany to join in this most popular of annual events. Alongside dozens of the more familiar home-produced Austins were rarities from BMW Dixi, Rosengart and Holden – all owing their heritage to the genius of Sir Herbert Austin and his designers who produced the first Austin 7 model in 1922. The car went on to become ‘the motor for the millions’ and nowadays is one of the best-loved of pre-war classics.